LaserSoft Imaging – freieFarbe e.V. Is output-neutral design with Lab colours possible in practice? LaserSoft Imaging was founded in 1986 by physicist Karl-Heinz Zahorsky who developed the concept of SilverFast in Kiel, Germany. Since then, the company has contributed numerous inventions which allow for high-quality image processing of analog and digital images. 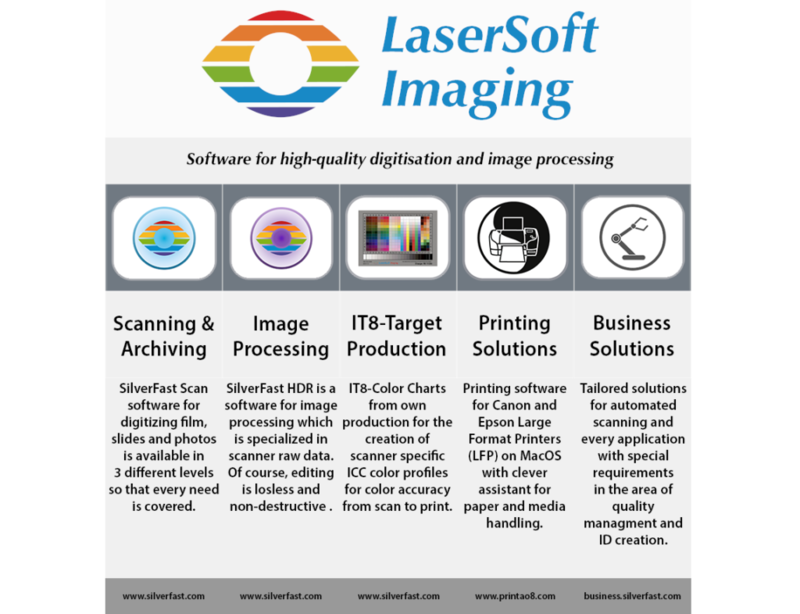 LaserSoft Imaging thus has a worldwide reputation as pioneer and expert in scanning and digital imaging. The SilverFast range of products includes software for scanners, digital cameras, printers and for HDR imaging, as well as several specialized solutions. LaserSoft Imaging is fabricating quality targets for IT8-calibration in their own production. Since 2015 LaserSoft Imaging is represented in the TC 130 committee for the IT8-standard. In form of “Advanced IT8- targets”, they already offer targets according to the latest updates of the IT8-standard. Many years of experience in the field of image processing make the company an interesting business partner when it comes to the development or use of special business solutions. Automated scanning in the area of quality management or the use in ID card creation processes are excellent examples of the software’s flexibility in vertical solutions.